Do you like La Orotava? 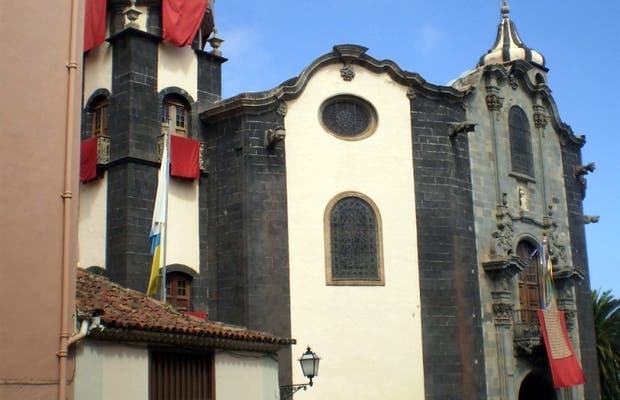 During the traditional Pilgrimage of San Isidro Labrador (which was declared a place of National Tourist Interest) that takes place in La Orotava in late June, there's a sung Mass that takes place at 11:30 a.m. at the Church of La Concepción. The church was full of people, because this is the act that starts the day's festivities, which end in the late afternoon, and involve all the citizens. During the Mass offerings are made of fruit grown in the country to San Isidro, and the tenants of the Brotherhood renew their promises. In passing, we had opportunity to visit the inside of the church, which was built in the 18th century, but in three different time frames. II Vida Trail Nocturno El Médano.